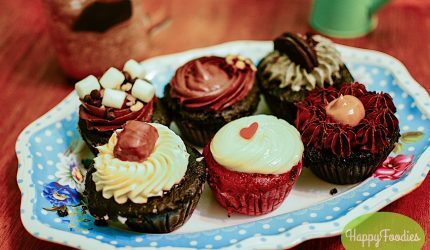 From what started as an online business of selling baked goodies and treats in Instagram and Facebook, Kim is Hungry Cakes + Cafe is one sweet success story. With enough loyal customer base who enjoyed her dessert offerings, Kim Gonzales, the owner, managed to open her own cafe. Now, her customers and walk-ins can enjoy her cakes, and cupcakes with the addition of coffee, frappes and other meals. Your Happyfoodies trudged to the northern highlands for the days leading up to the new year with an overnight stop in Baguio. 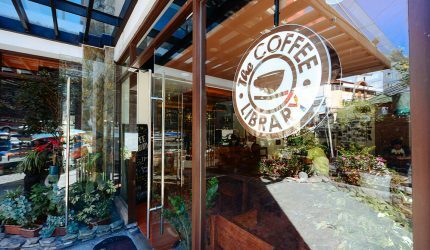 By chance, we got billeted in a hotel on a quieter street parallel to the always-busy (read: noisy) Session Road and chanced upon the barely month-old The Coffee Library on the ground floor of the Rex Hall Student Residences along General Luna Street. Needless to say, it was a serendipitous find. Yes, it is eye-catching, with tasteful touches of ethnic crafts, mix of red brick and warm wood, even vintage “padyak” (foot pedal-powered) sewing machines converted into tables, but how was the food, you may ask. Post-Typhoon Yolanda has shaped a different Tacloban City. Businesses are booming and the presence of numerous foreign aid workers have prompted locals to open up not only more lodging but eating places too. People of Tacloban love to eat and its a delight to see some quality home-grown establishments popping-up to join old favorites. With the presence of foreigners though, prices have gone up but there are still some affordable options around. 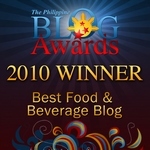 This list is not a ranking but the places I have personally tried during my stay. 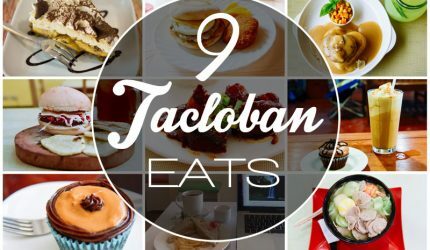 Tacloban City Eats has a nice mix of comfort food, cafes, dessert place and a hotpot. Check out Chew Love, Dream Cafe, Libros Atbp, Porbida Burger, K Patisserie, Miyara Patisserie, Sofa Cafe, Huhku Hotpot Express and Oppa’s Kitchen.